Dr. Rocket is not yet a doctor. Check back in 6 months, and she will be. And by she, I mean me. Who am I and why do you care? Well for starters I am the originator of this blog, so if you are reading this, then you were curious enough find that bit out. I am is also one of the main writers of blog posts. I am a 4th year medical student at Anywhere, USA medical school. The particular school and location do not matter much. The consensus is the same; medical school is the same just about anywhere you go. You have to deal with the same personalities types and issues at any school, so knowing the particular name and location is of little use. Besides, lack of location provides a slight and I mean slight bit of anonymity. 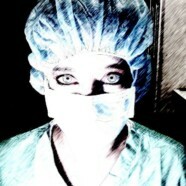 I am soon to be an internal medicine resident. I also have a past life as a paramedic and between my medical school experiences, and my past paramedic stuff, I have a ton to write about. As you may have noticed, the blog is sparse. Life as a person is time consuming, then add medical school and other stuff to that, you barely have time to eat, much less blog continually. However, now that I am in my 4th year, I will have a lot more time and will be doing some catching up (fingers crossed optimistically). So, with that, I hope enjoy and check back again, maybe I’ll have decided to write more about myself.